Quality dental equipment are at the heart of every successful dental practice. We are pleased to present a carefully curated portfolio of dental equipment to suit your needs and your budget.  From latest CAD/CAM machines to Compressors and affordable dental chairs to high-resolution imaging products, we have what you are looking for. As the leading dental equipment supplier in Oman, our experienced sales consultants, dental equipment specialists and repair service technicians can assist with your dental equipment purchase, installation or repair needs. We also provide professional dental equipment installation and maintenance to keep your dental equipment in top working condition.All our products come with manufacturer warranty and we provide attractive service packages for dental equipment after the warranty period. A dental treatment unit is a key element of any dental office. We are proud to exclusively represent dental treatment units from FONA, part of Dentsply Sirona Group. 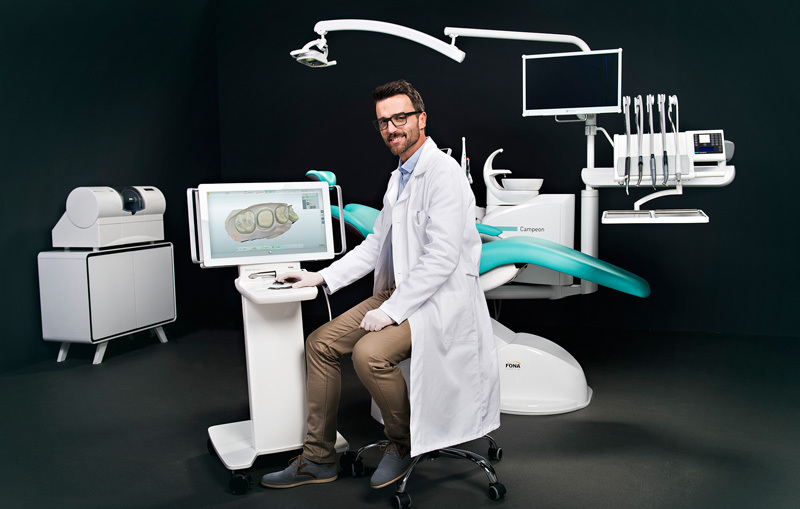 Engineered to award-winning German design standardsFONA dental treatment units meet highest ergonomic and safety standards.. The modular design concept allows configuring the treatment units according to your individual requirements thus making it fit perfectly into your practice. Other key benefits of FONA treatment unit include anti-collision system, instrument lock function, overheating protection, two-handed or four-handed operation, swingable armrest, video system and integrated hygienic features – in summary, the FONA treatment units are equipped with a variety of advanced safety features to provide enhanced safety for dentist, patient and dental clinic.Call us today to find out more and ask about current pricing offers. CAD/CAM system will be one of the most important dental technology choices that you will make for your clinic.A fully integrated CAD/CAM solution such as FONA (part of Dentsply Sirona Group) MyCrown is able to create crowns, veneers, inlays, onlays and small bridges in just one visit and can be the growth engine for you clinic. With FONA MyCrown system, the full process of restoration is completed in a single appointment thus saving time for both patient and dentist.The intuitive scan and MyCrown design software eliminate the need for conventional impressions, waiting time and further appointments.The state-of-the-art camera scans the area and advanced software produces a design with high accuracy and precision while, at the same time, allowing to make adjustments for a perfect fit. Visit our showroom for a free hands-on demonstration. Right dental imaging products are critical for a successful diagnosis and treatment of patients. With the best-in-class selection of extraoral and intraoral imaging products, alfarsi.me is your right partner when it comes to X-Rays, OPG, Ceph, 3D and other digital imaging solutions. 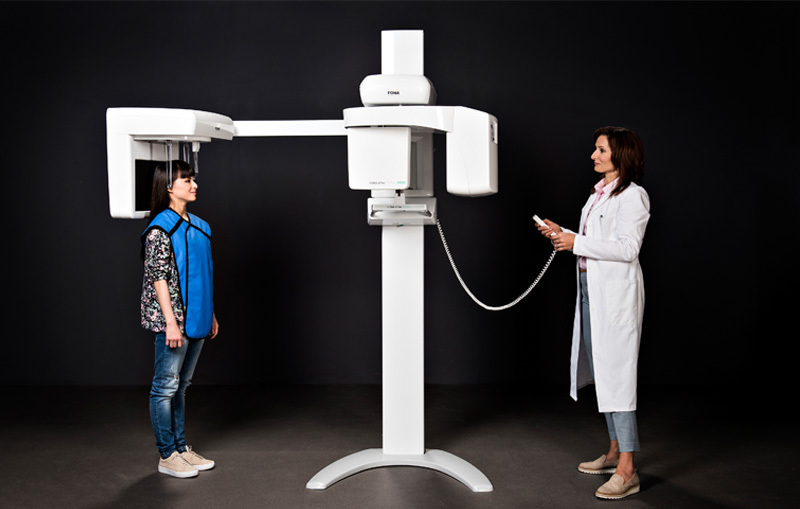 In the extra oral range of imaging products, we offer different models of complete and compact, fully upgradeable 3D CBCT, Panoramic and Cephalometric systems. With our intraoral imaging product range, we wall mounted and mobile dental X-Ray units, advanced intraoral sensor and Digital X-Ray Phosphor Plates. Apart from our partnership with FONA (part of Dentsply Sirona Group), our Imaging portfolio is complete with Dolphin Imaging , the world’s leading providers of 3D imaging for specialized dental practitioners (including orthodontists, oral and maxillofacial surgeons and oral and maxillofacial radiologists). Compressor and Suction are the unsung heros of your dental operatory! We are proud to represent the world leaders, DurrDental (Germany) Compressors and Suction equipment in Oman. Being a reliable partner of dental/medical practitioners for more than 70 years, Durr is able to offer the right solution for all requirements. 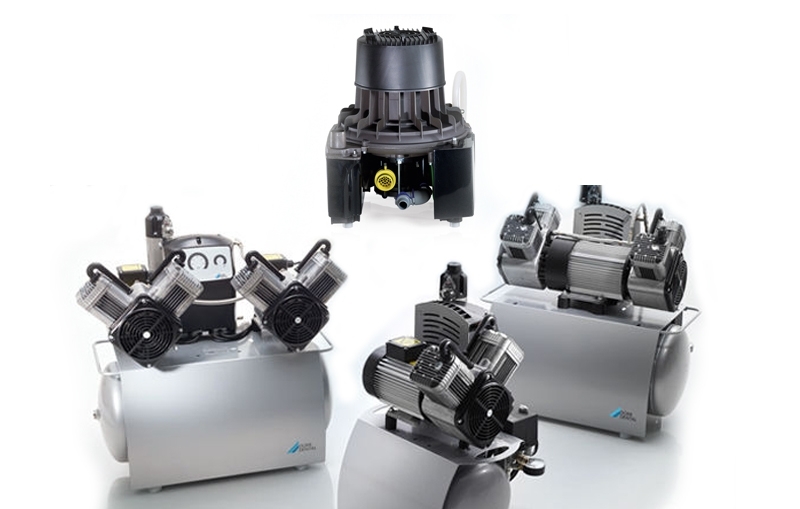 Our in-house Durr equipment specialists and repair service technicians can assist with your compressor and suction equipment purchase, installation or repair needs. Being the authorized dealers, we have ready availability of Tornado Compressor series that offers quality at an attractive price. We also have ready stock of different suction equipment options including wet, dry and with amalgam separators. Sterilization and cross-infection control are critical considerations in a dental practice. We have collaborated with FONA ( aDentsply Sirona company) to bring the best equipment in dental practice hygiene management. 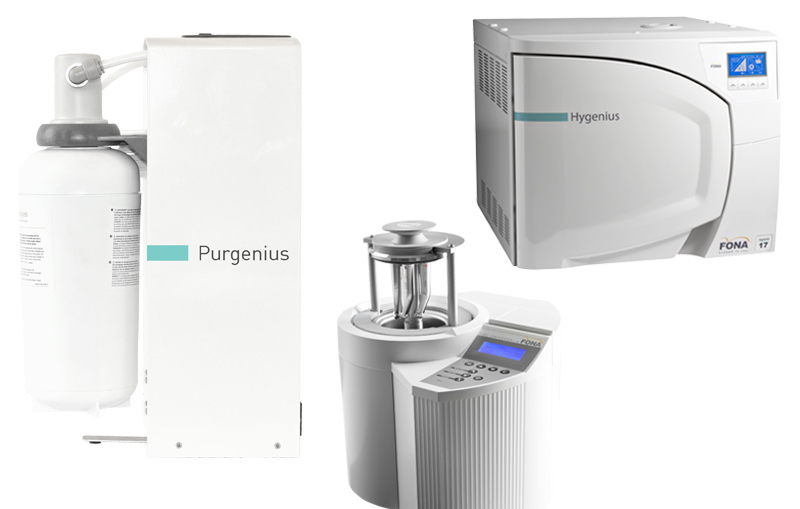 Hygenius B class sterilizer brings you reliable sterilization results with highest safety. Protect yourself, your staff and your patients with this must have device. The DAC Universal is combination autoclave that cleans, lubricates, sterilizes, and dries handpieces, contra-angles, turbines and solid instruments both wrapped and unwrapped. Purgenius is a unique product, delivering filtrated, decalcified and disinfected water which reduces existing and new biofilm in treatment unit water lines. The process is free of added chemicals and does not produce waste water. Call us today to find out more.